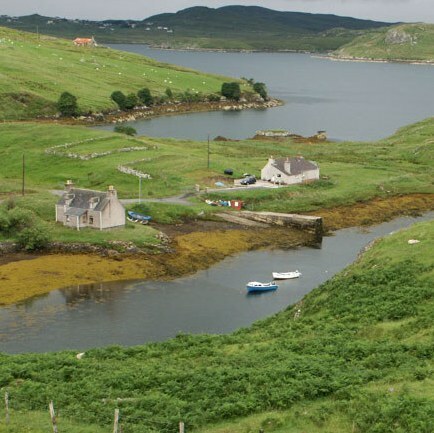 The Scottish Land Fund has today (29 December) awarded £230,000 to support the community land purchase of the Pairc Estate on the Isle of Lewis. News of the award to The Pairc Trust marks an important milestone in the ten year journey by the islanders to pursue community ownership of the 26,775 acre area of land. In Dumfries and Galloway, Johnstonebridge Centre and Community Development Trust also receives £99,437 from the Scottish Land Fund to bring four plots of local land into community ownership. The group will also employ a new part time development officer thanks to the funding. Plans for developing the currently unused land include the community development of an allotment area and community garden, and a site for new affordable housing. Announcing the funding, Environment Secretary Paul Wheelhouse said the final pieces of the Pairc Estate funding package, which will also allow for the appointment of a full-time development manager, “marked the end of a ten-year journey” for the local residents on Lewis, who could now look forward to a more sustainable future with their destiny now placed firmly in their own hands. With funding also secured from Highlands and Islands Enterprise and Comhairle nan Eilean Siar, The Pairc Trust will be able to pursue the purchase for £500,000 under an amicable agreement with the landowner that should allow settlement early in 2014. The Scottish Land Fund is funded by £9m from the Scottish Government and administered by the Big Lottery Fund in partnership with Highlands and Islands Enterprise. Visit the Big Lottery Fund website for more information.